This post is a continuation of my discussion of my daughter's latest blood test results, though not the one on the additional test results, as I am waiting for a call back from the allergist. 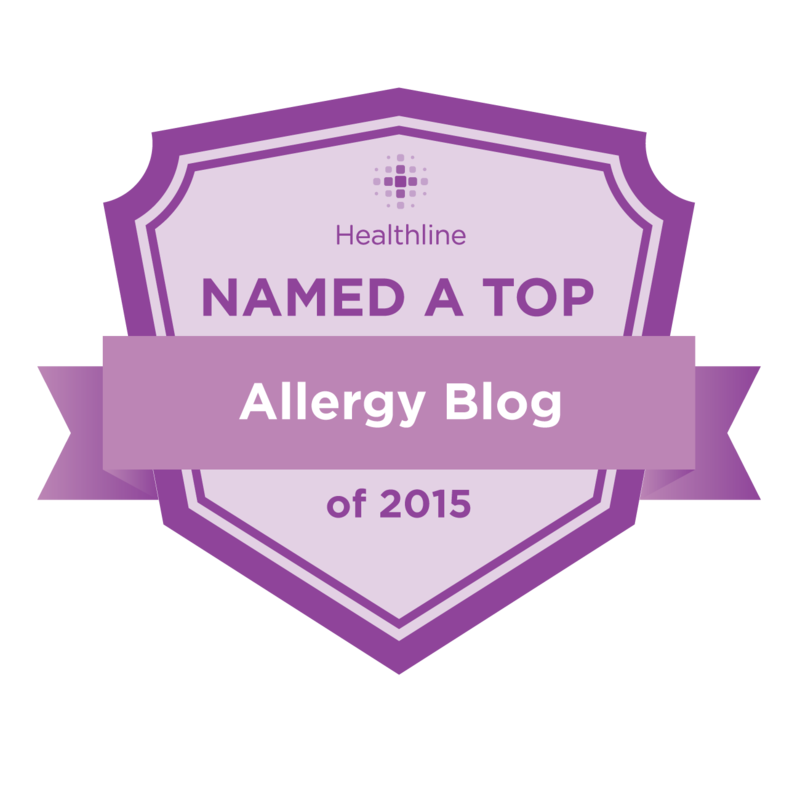 This is a further discussion of her "whole peanut" results and a AAAAI article that was just posted on AllergyMoms' Facebook page. The title reads, "Spontaneous resolution of peanut allergy decreases after 8 years old." So, to me, this starts a countdown timer in my mind, since my daughter is almost exactly 4 years and 8 months old. We have a theoretical 3-year-and-4-month window, where her chances look better for the resolution of her peanut allergy. Technically, I guess I should call it her "peanut sensitization", as she has never eaten a peanut in her life, but her Ara h 2 values are pretty convincing that she should not even do a challenge at this point. 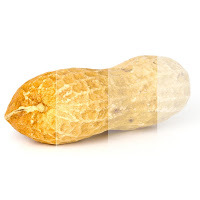 "In a recent study published in The Journal of Allergy and Clinical Immunology: In Practice, Bégin et al, report on data from 202 participants who were followed longitudinally for 12 years after an early diagnosis of peanut allergy (median 12 months). Resolution was confirmed by double blind placebo controlled food challenge offered to subjects with specific IgE lower than 15 ku/L." "During the study period, 51 subjects (25%) were found to resolve their peanut allergy. Most resolutions (80%) occurred before age 8 with mean annual rates of 6.6, 2.2, and 0.6 per 100 patients per year between ages 3 to 6, 6 to 10, and 10 to 15, respectively. As expected in infants, initial specific IgE levels were generally low at diagnosis, but they increased rapidly in persisters while they remained low in remitters. In addition to having low initial peanut specific IgE at diagnosis (<0.7 ku/L), strict avoidance of traces was also independently associated with increased chances of spontaneous resolution." Now, from this I gather, that as the children age, the chances of remission drop. It's more promising if they had low sIgE to being with, which is not the case for my daughter, but her levels are not on an upward trend, at least, as they've seen in "persisters". I also find it promising that "strict avoidance of traces" was also found to help chances of spontaneous resolution. I am pretty strict when it comes to avoidance of traces, most definitely when it comes to ingestion. I call EVERY company before my daughter eats a product and usually the iffy situations relate to flax or something else non-Top 8, but never peanut. I understand that this is all conjecture and I am not truly getting my hopes up, but analyzing data, crunching numbers and looking for trends helps to calm my nerves, sometimes. The truth is absolutely anything can happen. She could turn 15 and have spontaneous remission, or it might be a lifelong allergy. Even if her peanut allergy vanished, we'd still have milk, eggs, tree nuts, etc., to deal with, though I can't say taking peanuts off the list, some day, would not be a great relief. These are just some of the thoughts in my head, from reading that article, with no exact point. Thanks for reading, and I welcome your thoughts, too.